Apple's latest news including iOS 7. App talk: Knock On Wood, ClapBox, SpinVid, Instagram, Vine, plus the website Fab.com. The World Famous PoochCam, listener email from around the world, and how products are licensed and why your favorite bands and characters make lots of $$ selling merchandise including Angry Birds Soda, Despicable Me, and a whole lot more. You think going to the dentist is fun? Wait until you watch show 160 of Kid Friday! 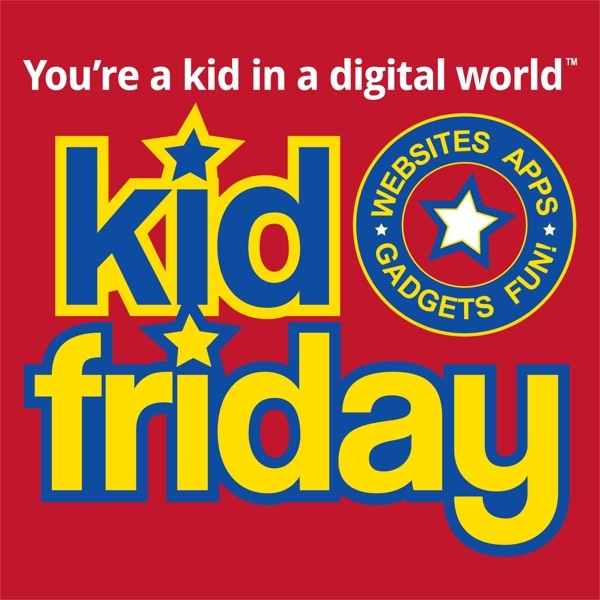 You're a Kid In A Digital World℠ Thanks for making Kid Friday the #1 Technology show for kids. Get YOUR Email read on a future show. If you like Kid Friday, we sure would appreciate a 5-star Review on iTunes! Spread the word about Kid Friday, KidFriday…Tell A Friend!